Christian Association of Nigeria, CAN, has dissociated itself from Arewa Pastors Peace Initiative, Nigeria, APPIN. The said group visited President Muhammadu Buhari on Thursday, Abuja to pledge their support for him and his government. “The group went further to the extent of claiming to the President that they knew some Pastors who are being used by the opposition against his government. Claiming that islamization agenda is the idea of the opposition is the least expected of those who claim to be Christians in the country where Christians are becoming endangered species daily. “CAN does not know any of them and their organisation is even alien to the Association and fortunately enough they did not claim to be part of CAN. We are happy that the Northern Christian Association of Nigeria (Northern CAN) has also disowned them. “We are totally disappointed that a group of people who claimed to be Pastors will be visiting the President without asking for the freedom of Leah Sharibu and over 100 Chibok girls who are languishing in the captivity of the Boko Haram terrorists, whose only crime is their religion. “We wonder why these supporters of our President, who claimed to be Servants of God, would not ask him to stop the unending killings going on under his watch in the Christian predominant communities in the North Central and some states in the South. “They were so concern with the 2019 election that they forgot to tell the President that the primary duty of any serious government is to provide security to the governed irrespective of their religious and ethnic affiliation. 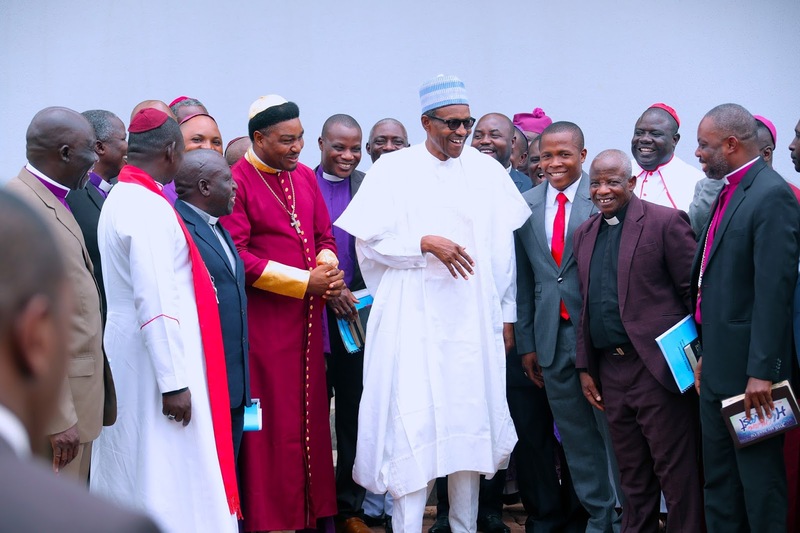 “Telling President Buhari that the opposition had hired some pastors against his government speaks volume of where they are coming from and who they are in the body of Christ. “We are waiting for the list of the pastors whom they know that are on the pay roll list of the opposition who are allegedly guilty of hate speech. We all know how those who engaged in such an ungodly exercise in the Bible ended up. “The Christian Association of Nigeria will not be discouraged by the activities of those whose agenda include but not limited to polarisation of the Association and blackmailing its leadership. We cannot turn the blind eye to the ordeal of our brothers and sisters anywhere in the country. “Those who are not concerned about the violence in the country are also free to associate and express their views while Jesus Christ, the Head of the Church is on the throne to reward loyalty and judge the betrayals sooner or later.